Every boat owner with a marine VHF radio on board should have an Maritime Mobile Service Identity Number number assigned to the vessel in case of emergency! It is a nine–digit number that uniquely identifies a ship or a coast radio station equipped with appropriate electronics equipment. Most VHF marine radios now support MMSI numbers with the feature DSC or Digital Selective Calling , while equipment such as radar or chart plotters may be equipped with AIS or Automated Identification System . The MMSI number is programmed into this on–board equipment for vessel identification purposes. 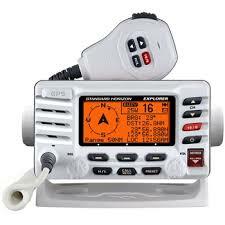 When the VHF radio is properly configured with a valid MMSI it includes the vessel location and number while sending and receiving messages with the U.S. Coast Guard, Search and Rescue authorities, and other vessels. The central MMSI database then provides important information about a vessel such as: contact information, intended route, other radio equipment on board, and also whether it is a valid alert. Once an MMSI number is assigned to a vessel it is intended to remain with that vessel even if ownership changes. All DSC–equipped radios, and most GPS receivers, have an NMEA 0183 two–wire data connection whose protocol allows any model of GPS to be successfully interconnected to any model of radio, regardless of manufacture. The US Coast Guard urges that you take the time to interconnect your GPS and DSC–equipped radio. Doing so may save your life in a distress situation! Before interconnecting your radio & GPS consult the owner's manuals. The United States Power Squadrons and BoatUS are both authorized by the Federal Communications Commission (FCC) and the US Coast Guard to issue a MMSI number to US flagged vessels not subject to Safety of Life at Sea (SOLAS) Convention requirements. This includes almost all recreational boats. Vessels required to have FCC ship station licenses, including US flagged pleasure craft making international voyages, must obtain their MMSI directly from the FCC. USPS or BoatUS can assign an MMSI number for your vessel at no charge. 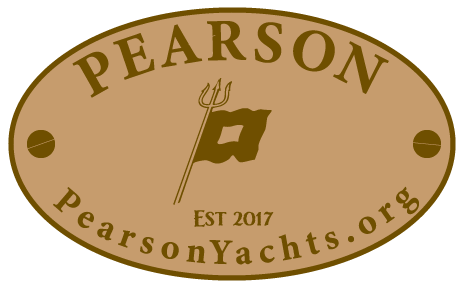 The issued MMSI will be unique to your boat and must be programmed into all equipment capable of transmitting and receiving digital signals.